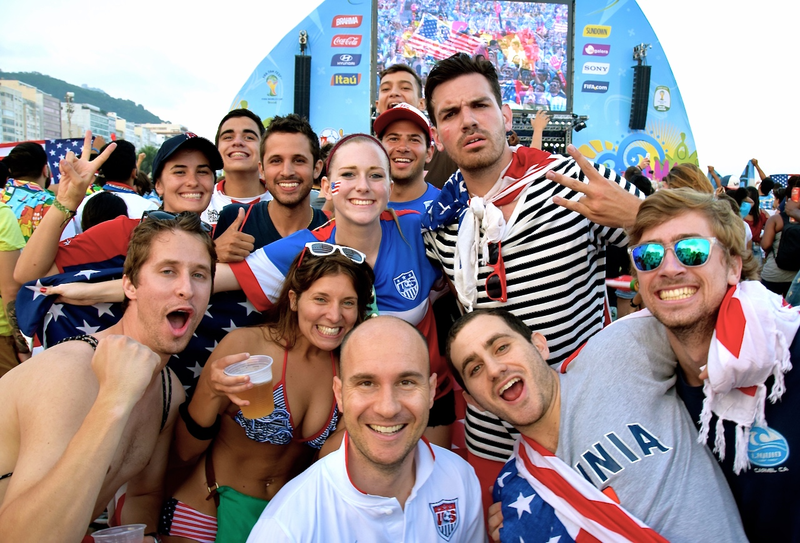 In June and July, I spent 45 days in Rio de Janeiro to attend the FIFA 2014 World Cup. It was one of those “you had to be there” once-in-a-lifetime opportunities. During that time I blogged about my observations on a weekly basis. Now I am sharing my experience for those who might consider attending future world sporting events like the World Cup and the Olympics. Why did I go to Brazil? Besides my interest in international soccer, I’ve long had strong connections with Brazil. These included serving as a Peace Corps Volunteer in São Paulo and as President of the Connecticut/Paraiba Chapter of Partners of the Americas (sister-state program). More importantly, my wife is from Brazil and is an event and street photographer focusing on Brazilian culture. My oldest son also has lived in Rio and our younger son was a video producer for ESPN in Rio covering the World Cup. And all four of us being Portuguese speakers was an added bonus. The World Cup was a festive tournament of soccer teams from 32 countries competing in 12 Brazilian cities. 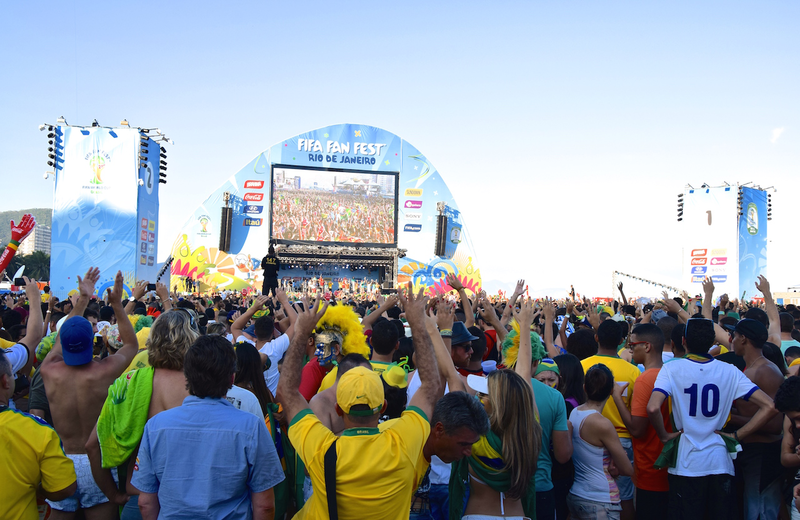 In Rio de Janeiro, where we stayed, Copacabana Beach had the largest area designated for fans to watch all the games, called FIFA Fan Fest. The area allowed some 20,000 fans to watch all the games for free on a huge screen. It also had a stage where Brazilian bands and entertainers performed before, in between and after the games to keep the crowd energized. No matter who was playing, the fans colorful jerseys and spirit made each game fun and vibrant. Additional big screens were placed along the beach and in many neighborhood streets closed off for local spectators to watch the games. FIFA Fan Fest spectator areas were also created in each city where games were being played and in major cities around the world. Going to the stadiums to watch the games did have its hassle factor. Only public transportation could be used to get to the stadium. Rio declared a citywide half a holiday to minimize normal traffic around its Maracanã Stadium. Security was very tight on getting into the stadium, slowing the flow of fans. FIFA only allowed its official vendors of food and drinks to be sold in the stadiums. After the games fans spilled into the streets around Copacabana and onto the clean and efficient Metro stations, making for a continuous party. Some Brazilian officials actually characterized the World Cup as both a party and a sporting event. We often encountered bands playing on the streets, adding spontaneous entertainment to the street scene. 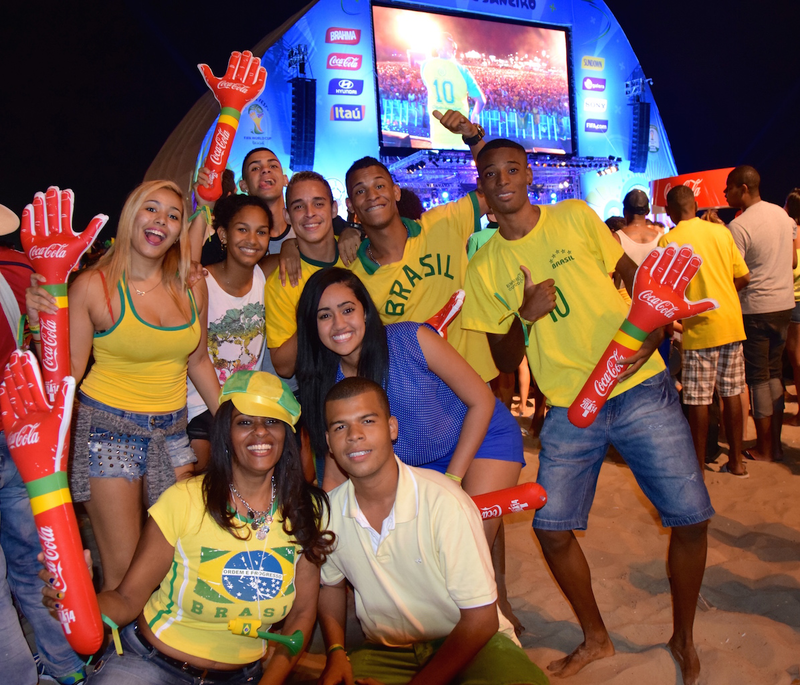 One million foreign visitors were estimated to have attended the World Cup, in addition to millions of Brazilians. Argentina had the most foreign fans represented, with some 100,000 estimated to be in Brazil for the final match against Germany. Also present were 17,000 journalists from all continents to cover the event. At an international media center, we attended press briefings by Brazilian officials and went on guided tours of the city’s attractions offered by the center. Despite the strong rivalry between Brazil and Argentina, Brazil was an excellent host to the Argentine fans. Rio opened up its Carnaval parade stadium (Sambódromo) for the Argentines to camp and park their recreational vehicles during the Cup, specifically for the final match of Argentina vs. Germany. Some fans slept on Copacabana Beach and Rio’s soup kitchens provided low-cost meals to Argentines and others on a tight budget. As for the teams in World Cup final, Sports Illustrated got its prediction half right: Brazil vs. Argentina. In the final match, Germany beat Argentina 1-0. We stayed in Lapa, a bohemian neighborhood near downtown Rio. All day and night, it was a lively hot spot for watching each games and celebrations and entertainment afterwards. Brazil was tolerant of carousing and drinking in the streets during the World Cup, which made this area welcoming for celebrating fans. Up until the start of the World Cup, Brazil was having political protests and security issues that had raised concerns among some people about attending. However, these problems did not show up during the World Cup, except on a very small scale, and were dealt with immediately. By my experience, Brazil did very well in hosting the World Cup. Security was very strong with 170,000 policeman, military and security guards to provide security in the 12 cities with games. For Brazilian coastal cities that hosted the games, Navy patrol ships cruised near the harbors for protection. Foreign intelligence agents provided special intelligence assistance to help further prepare Brazil. General help for fans and tourists was available on the streets via information booths. English instructions in the Metro explained how to get to Rio’s Maracanã Stadium and FIFA FanFest. The Metro was very good to travel in Rio and was free for seniors. In 2016, Brazil will be hosting another major world event, the Summer Olympics and Paralympics. They will be held at Olympic Park, south of Rio’s center at Barra da Tijuca. As was the case with the World Cup, people have questioned if Brazil will be ready for this next world event. However, Brazil proved that it was logistically ready for the World Cup in spite of eleventh hour skepticism. Rio’s track record reassures us that it will be ready, having hosted the 1992 Earth Summit, Pan American Games in 2007, Rio+20 in 2012 and the Pope’s visit in 2013 for World Youth Day. The Olympics and Paralympics will be another opportunity to experience a world-class sporting event in the city known as the Marvelous City (“Cidade Maravilhosa”), with its unique natural beauty of mountains and beaches and fun-loving atmosphere that makes for a fantastic experience. Given that the Olympics are a multi-sport event, they will likely appeal to a more diverse sporting audience than did the World Cup. Some nine million tickets are projected to be sold for the Olympics. I am glad I didn’t miss an opportunity to attend with my family a great international sporting event in a beautiful country. I hope many of you will consider attending the 2016 Rio Olympics and future World Cups, confident that your experience will be as exciting and safe as ours was.